British priestesses. 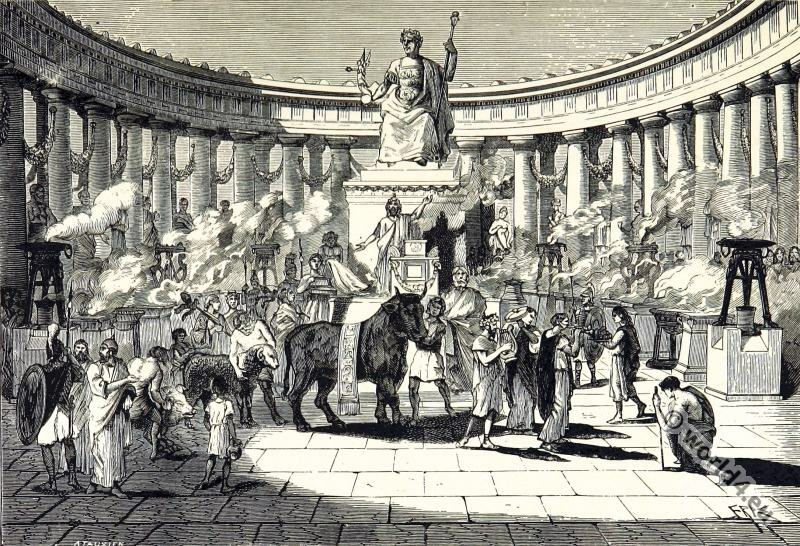 Roman era 3rd century. Roman British priestesses costumes. 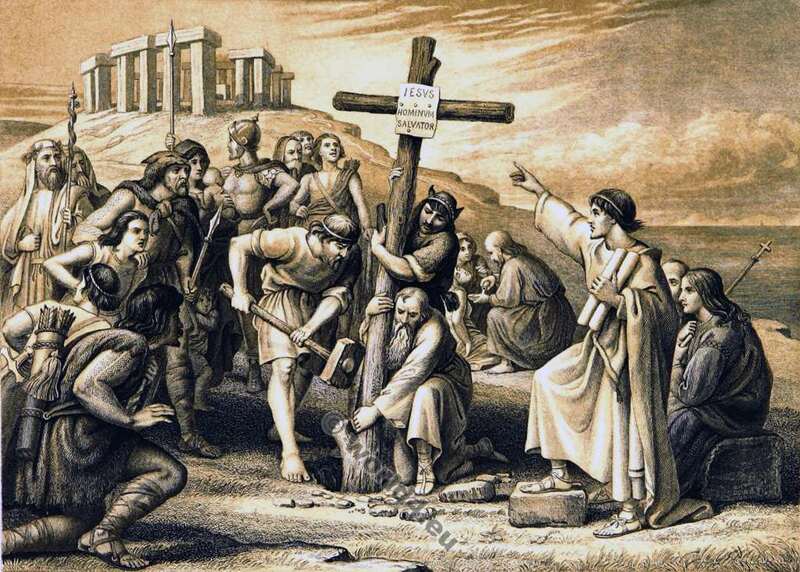 3rd century. 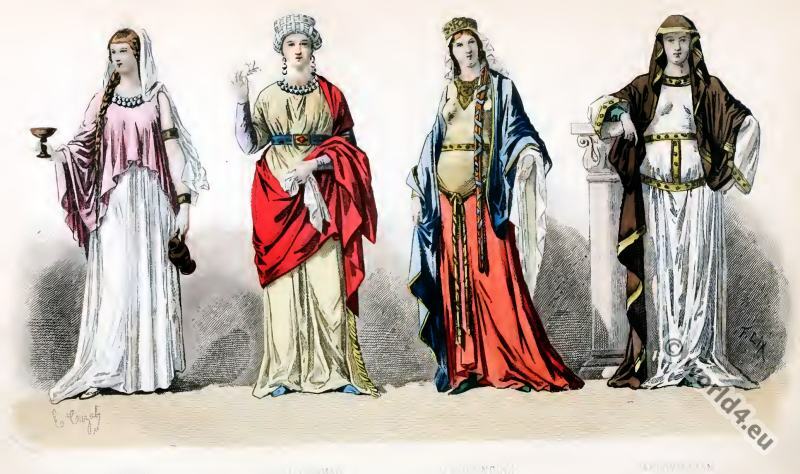 This entry was posted in Ancient, Celts, Ecclesiastical, Roman and tagged Ancient Roman Costumes, Celtic, Costume Of Great Britain And Ireland, Ecclesiastical Dress on 8/31/15 by world4. The Death of Virginia. Lays of ancient Rome. 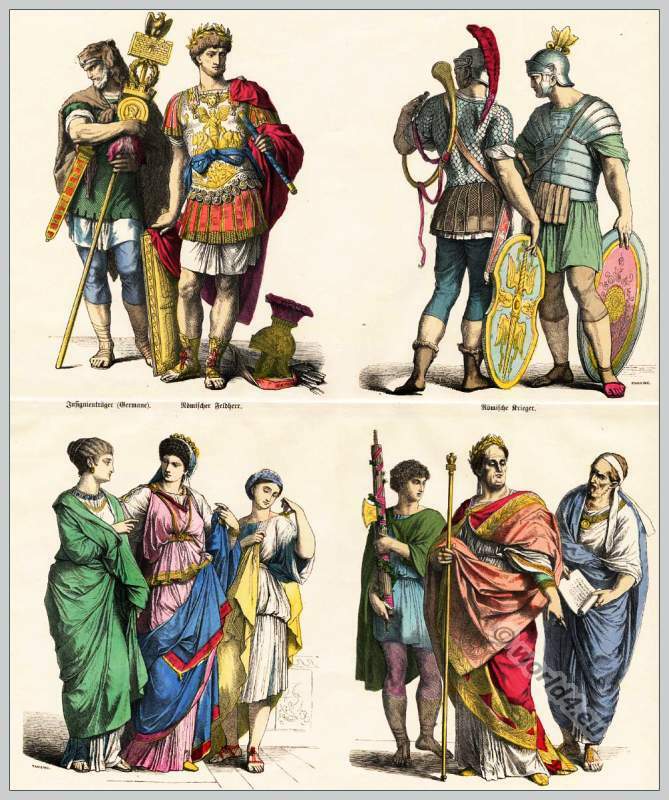 This entry was posted in Ancient, Genre, Roman and tagged Ancient Roman Costumes, Character sketches on 4/21/15 by world4. Gallic Roman temple in honor of Augustus in 1st century BC at Lugdunum. 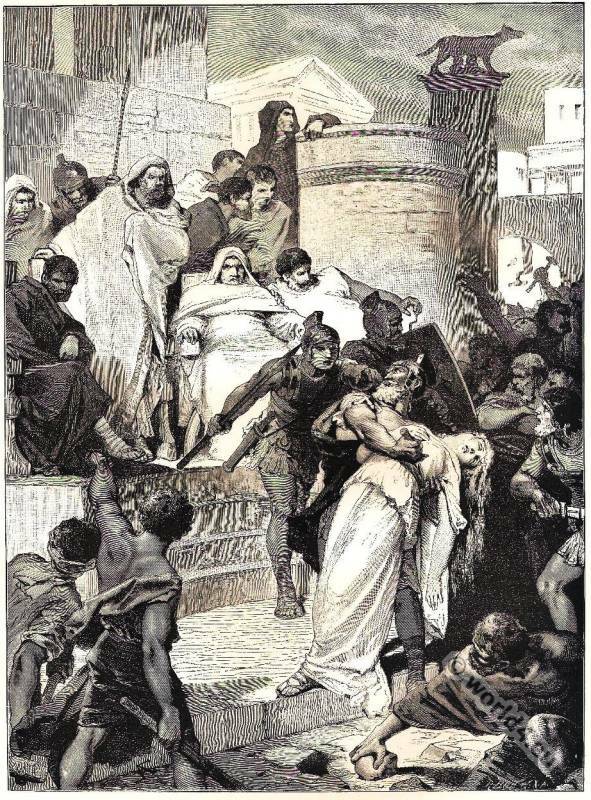 This entry was posted in Ancient, Celts, France, Gauls, Genre, Roman and tagged Ancient Roman Costumes, Architecture, Historical Gaul costumes on 4/4/15 by world4. The cowl or hood. 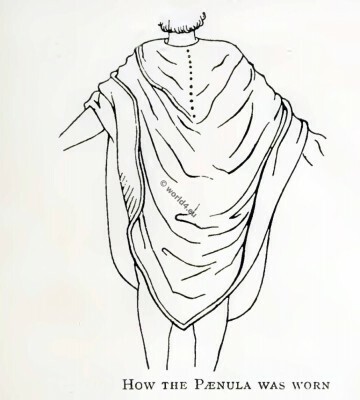 Ancient roman travelling cloak. 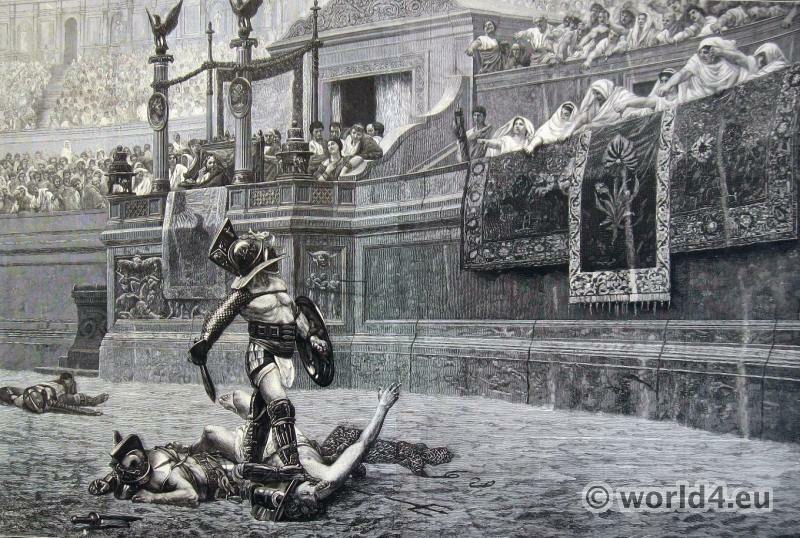 This entry was posted in Ancient, Roman and tagged Ancient Roman Costumes on 5/26/14 by world4. 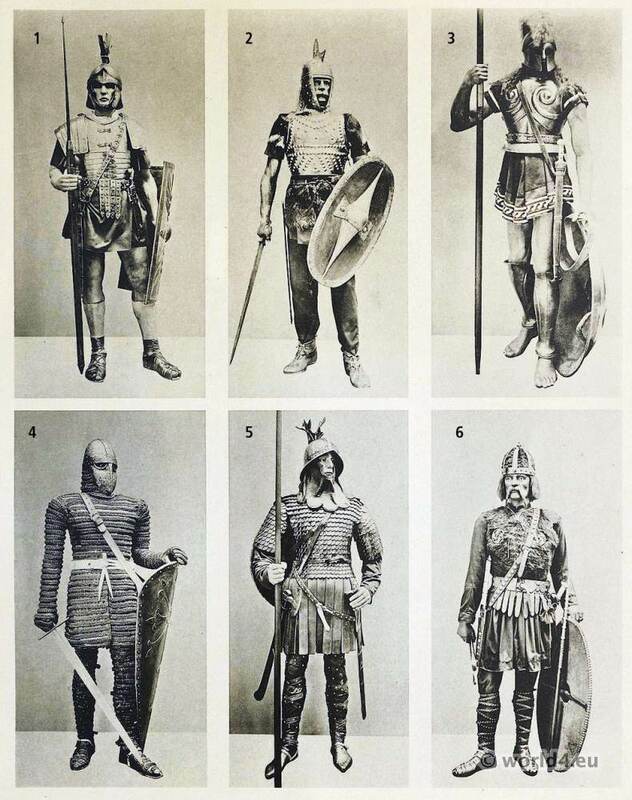 Top row left: Legionnaire from Germania, insignia carrier. 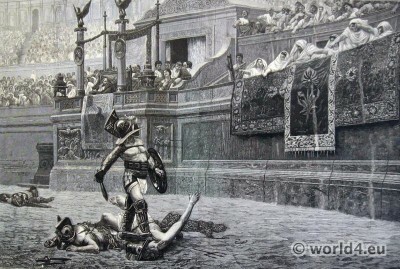 Armed Roman commander in armor. 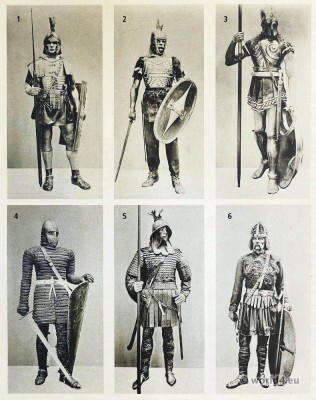 Right: Roman warrior, armed legionaries armor. Bottom row left: Posh Roman women in Tunica. 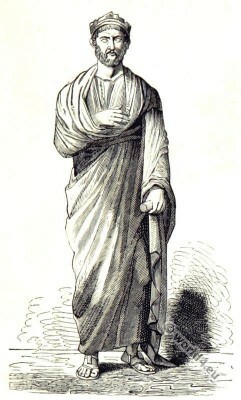 Roman slave girl. 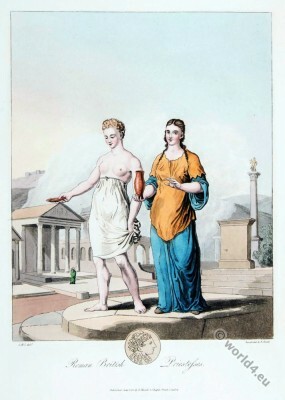 Right: Lictor. 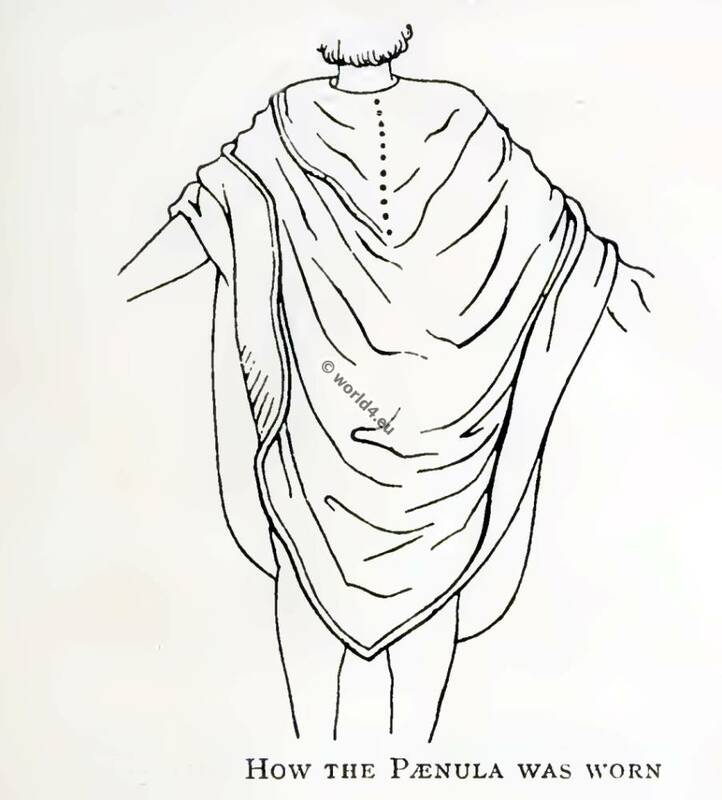 Roman Emperor in his coronation robes and Roman imperial crown. Posh Romans. 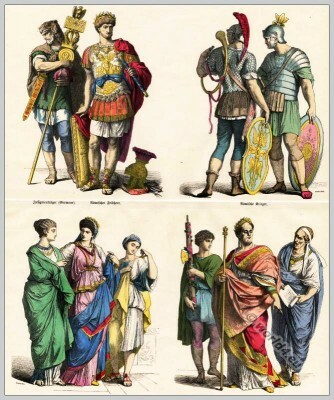 This entry was posted in Ancient, Court dress, Military, Nobility, Roman and tagged Ancient Roman Costumes, Münchener Bilderbogen on 1/12/14 by world4.